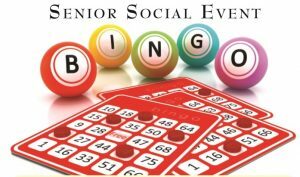 On the third Wednesday of each month, from 11:30 – 1:00, we host the Senior Social Event where folks (aged 65+) from all over the community gather together to eat, laugh, catch up and enjoy an activity. In June, our activity was BINGO! Each month, I prepare a very brief devotion to begin our time together. When possible, I like to think of a Scripture that fits for our theme – not an easy task for BINGO! However, after much thought, I discovered that BINGO is kind of a neat illustration of God’s grace – if you have a little bit of an imagination! BINGO is kind of that way. You can’t “earn” a win in BINGO. You can’t work harder at BINGO than your neighbor. But you do have to play – and you do have to pay attention. Of course, with BINGO, there’s only one winner each game – so the illustration breaks down there. Because we know God’s grace is available to all. And for this, we are grateful.